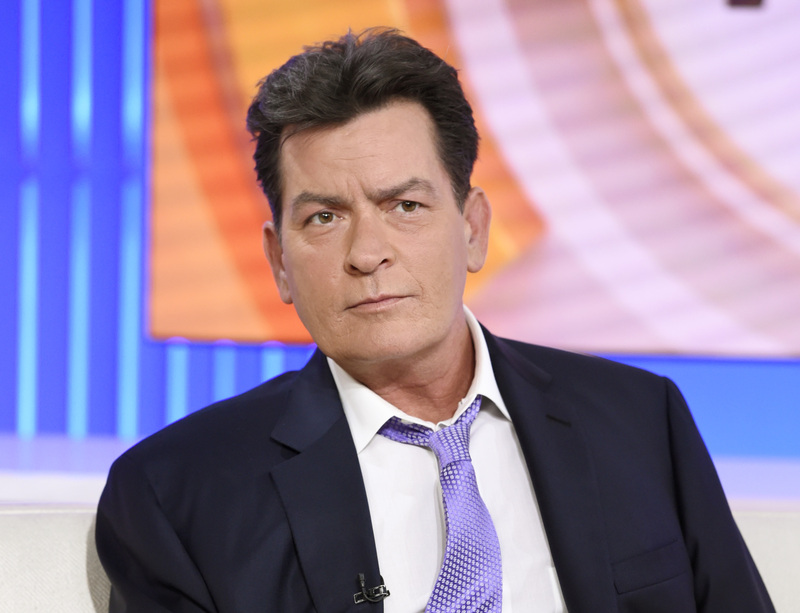 Two months after he went public with the news that he's HIV positive, Charlie Sheen is revealing new details about his treatment and some questionable medical choices that may have made his condition worse. In an interview taped for The Dr. Oz Show, Sheen said he stopped taking the HIV medications that had reduced the virus to "undetectable" levels in his blood. Instead, he opted to seek an "alternative" treatment from a doctor in Mexico who claimed to be developing a cure for HIV. Oz said the doctor, Sam Chachoua, was not licensed to practice medicine in the United States. Chachoua was reportedly so confident in the treatment he gave Sheen that he injected some of the actor's blood into himself. People magazine reports Oz shared audio of a phone conversation in which Chacoua said: "I drew some blood from him and I injected myself with it and I said, 'Charlie, if I don't know what I'm doing, then we're both in trouble now aren't we?' "
However, soon after Sheen stopped his prescribed medications, the virus resurged in his system. "I'm a little off my game because right before I walked out here, I got some results I was disappointed about," he told Oz on the show. "I had been non-detectable, non-detectable and checking the blood every week and then found out the numbers are back up." Sheen's manager, Mark Burg, told People that after the segment was taped last week, Sheen started taking the prescription drugs again. "Charlie is back on his meds. He tried a cure from a doctor in Mexico but the minute the numbers went up, he started taking his medicine," Burg told the magazine. Advances in treating HIV with a combination drug therapy now allow many patients to keep the virus under control and live normal lifespans. However, the drugs need to be taken regularly in order to keep working. They can reduce HIV to a low or even undetectable level in a person's system, but cannot kill it off entirely, and the virus comes roaring back if treatment stops. "We have a lot of different options of three or four drug combinations put together in a single pill that a person takes once a day. It's remarkably easier than it used to be," Dr. Paul Volberding, a professor in the department of medicine and director of the Center for AIDS Research at the University of California, San Francisco, told CBS News recently. In addition to keeping the patient healthier, the drug regimen also greatly reduces -- but does not completely eliminate -- their risk of transmitting HIV to others. "We've gone from it being a death sentence to what one of my patients calls a life sentence," said Dr. Carlos del Rio, professor of medicine and public health at Emory University and co-director of the Emory Center for AIDS research. "But we still have a long way to go.